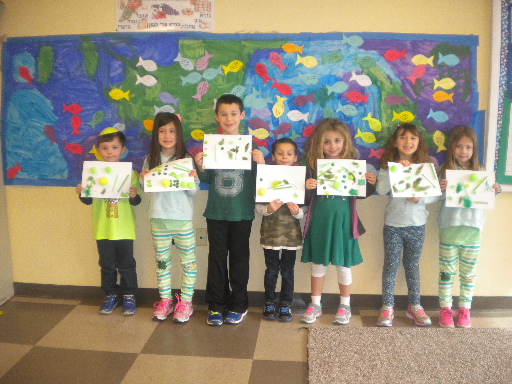 Our Religious School offers many wonderful opportunities for children from pre-school through seventh grade in a traditional conservative synagogue setting. Every child is special at B'nai Shalom. We offer an inclusive program with support staff for children with special needs, individualized instruction for advanced students and mulitple opportunites for families to learn together. Members and non-members are welcome. Monthly Preschool Workshops for 3-4 year olds. This complimentary program focuses on upcoming holidays. Click here for more information. Primary School: Once a week on Sunday mornings, for children in kindergarten, 1st and 2nd grades. 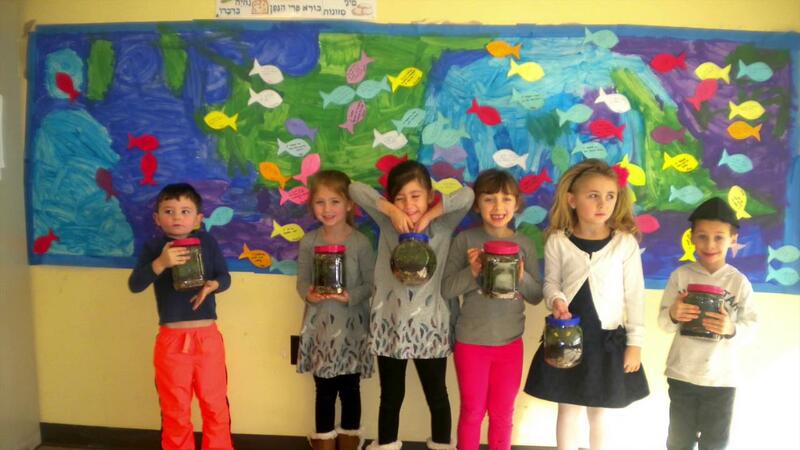 We offer a holiday based program with emphasis on Hebrew reading, mitzvot and Tikkun Olam. 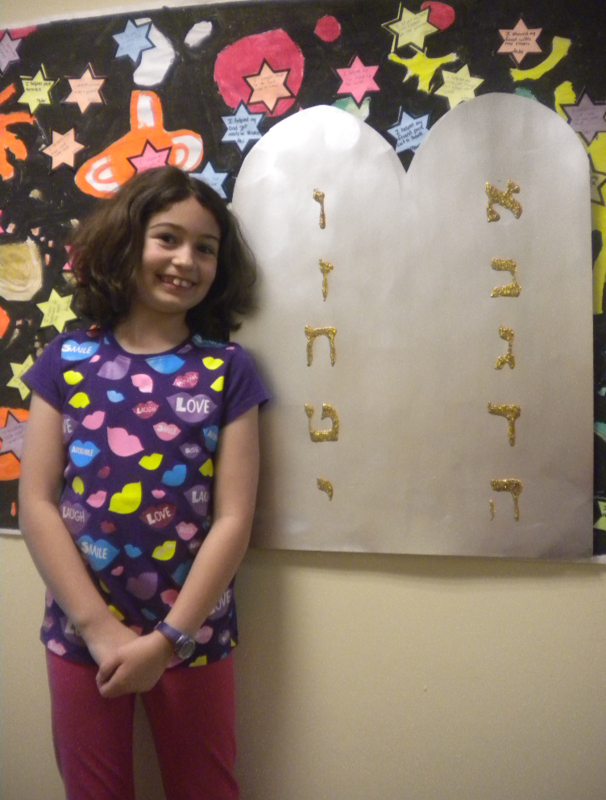 Our students leave second grade reading Hebrew. Kindergarteners attend free of charge. Religious School: We provide a 3 day per week program (Tuesday, Thursday & Saturday morning) for children in grades 3-7. Our religious school has a leveled Hebrew and Tefilah program, individualized so students can move ahead at their own pace. They are grouped by ability, not age. All students join together to study holidays, Jewish history, Tikkun Olam and for sessions with the Rabbi. Our students work towards becoming "Musafkateers" who join our director at the bimah in leading Shabbat services for the congregation. Many of our students are reading Torah well before bar or bat mitzvah age. Ozrim (teen helpers): Our amazing Ozrim, post B'nei Mitzvah age, come back to learn and to work with some of our younger students on progressing in their studies. 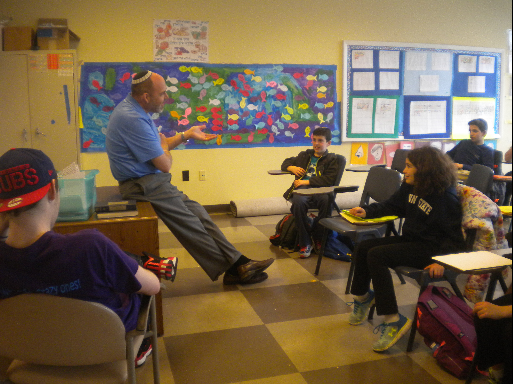 Rabbi Tobin, our wonderful charismatic leader, vists the students in class a minimum of 6-8 times during the year. T.R.A. is a one-of-a-kind peer mentoring program originated by Cantor Charles Davidson and pioneered at B'nai Shalom by educator Margo Heda. In this dynamic program, teens will make new friends, get leadership and teaching training, become mentors and leaders in their synagogue community, perfect the ancient and beautiful art of reading Torah, perform community service to B'nai Shalom through assisting with Torah readings, and most of all, gain confidence, self-esteem, new skills, strengthened Jewish identity and new social connections! Whew - that's a lot... And what's more, it's free for our members and there is only a small fee for non-members! Only your teen’s enthusiasm and presence are required. Additionally, Torah Reading Academy is no longer just for teens. Post B'nai Mitzvah members of any age who would like to learn to chant the Torah, Haftorah or Megillah, or who would like to learn to lead tefillot, are welcome. Come visit us and find out what it's all about! Click here to download the registration form. Contact Rena Casser at principal@bnaishalom.net or call her at 973-731-7160 x 208 for more information. Meet Rena Casser, our caring, innovative Religious School Director and master teacher at B'nai Shalom. She has been director of the Religious School for the past 15 years, but she has been teaching here for 37 years. Rena began teaching at our shul when her daughter was just 3 months old, and now she has 3 grandchildren attending the school. She is on her second generation of teaching B'nai Shalom members, as some of the parents of current students also had Rena as their teacher. Rena has a Masters Degree in Education for Gifted Children from Columbia University. She believes that "Every Jewish child deserves a quality education that is suited for their individuality." This principle guides her in offering a very special Hebrew program that is based, not on age, but on ability. Everyone moves at their own pace and each child is appropriately challenged and encouraged to succeed. 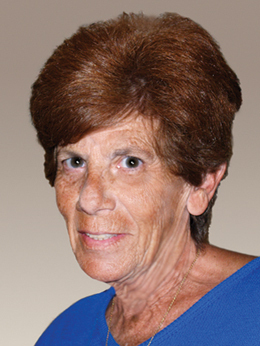 Throughout her years at B'nai Shalom, Rena has instituted some new expectations and areas of study for the students, from increasing their davening skills to learning to read Torah, Haftarah and Megillot. She has added a pre-school program to introduce youngsters to the beauty of our Jewish Holidays. 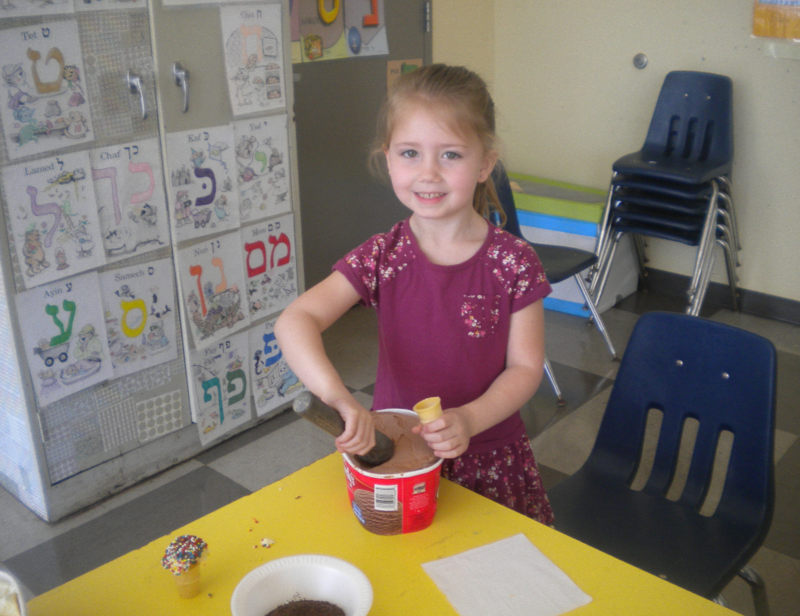 She leads the Junior Congregation each Shabbat for the Religious School and Day School students in our community and she organizes the Children's High Holiday Programs each year. Rena loves to garden and has set up a vegetable garden at B'nai Shalom that the students get to plant and tend. 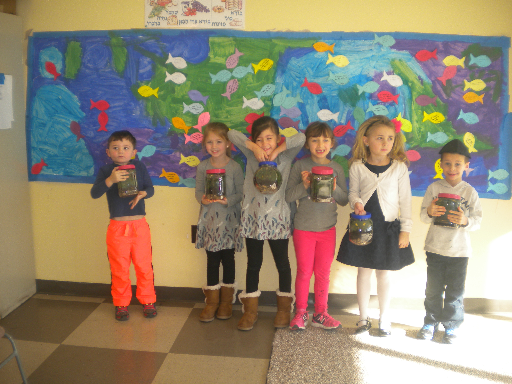 The vegetables gleaned have been used for our kiddush luncheons, much to the students' delight. Rena is also a recyling enthusiast and most of the art projects done in Religious School utilize recycled products. In addition to her Religious School responsibilities, she is the instructor for our Bnei Mitzvah students as well as for adults wishing to improve their synagogue skills. Rena Casser, our school director and teacher extraordinaire is a mother of 4 adult children, T.J., Aaron, Joel and Ilana, and grandmother to Ethan, Ryan, Gemma, Kaya and Tristan. Rena admits that her favorite title in life is "Bubbe" and her youngest students like to call her that, too. B’nai Shalom is a life-long learning community, because we know that studying together brings meaning, depth, and perspective to our lives. Anchored by weekly study of Talmud and Tanach with Rabbi Robert Tobin, and a Melton graduate course program on Sundays, Learners@B’nai Shalom's many classes, workshops, and lectures explore a range of subjects appealing to members of all backgrounds and interests. Each year, as the centerpiece of our programming, Learners@B’nai Shalom hosts a world-class Scholar in Residence for a full Shabbat of study and discussion. All are welcome to explore B’nai Shalom’s diverse opportunities to study and learn. For the most up-to-date information on all Learners@B’nai Shalom programs, please check the flyers in the Hayyenu section of this website.